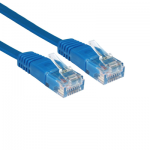 We supply a range of Cat5e RJ45 UTP Ethernet Network Leads on low smoke zero halogen (LSOH) network cable. 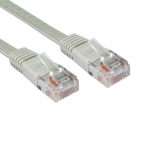 LSOH is also known as LS0H, LSZH, OHLS and LSFH. 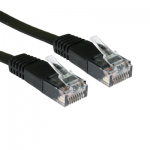 This type of cable is mainly used in low ventilated areas including aircraft, trains and submarines. When exposed to high levels of heat in a fire the LSOH cable doesn’t produce the harmful and toxic gases and acids that normal vinyl cable insulation does. If you can’t find what you’re looking for feel free to Contact Us, we’re always happy to help!